A rendering of the proposed Point project in the Fenway. 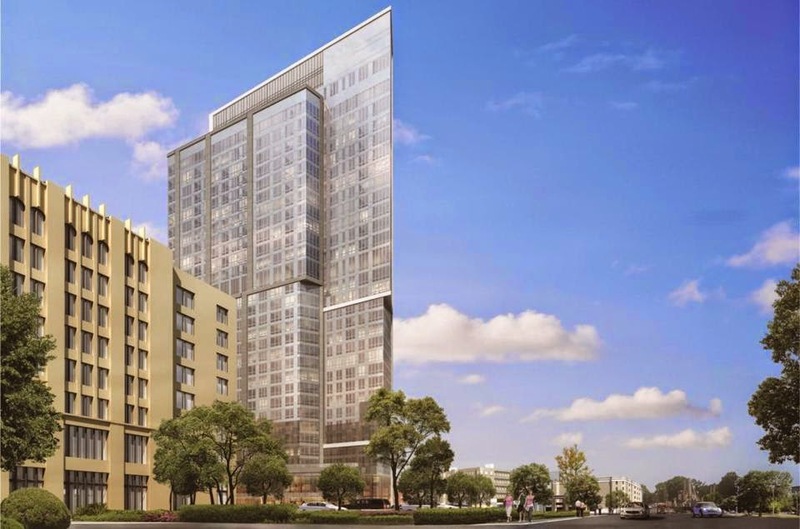 The Point, a proposed tower at the western edge of the Fenway meant to serve as a gateway to the neighborhood, is now planned to be even taller. The glass-and-steel Park Drive building would cap a stretch of developments by Steve Samuels, whose company during the past decade has built several residential buildings with ground-level retail space in the Fenway. In 2013, Samuels & Associates formally proposed replacing the single-story sub shop at Brookline Avenue and Boylston Street with a 320-apartment glass tower.